Former New Zealand Prime Minister Sir John Key beat former United States President Barack Obama in a leisure golf game, recently. In a four-ball game, Team Obama was beaten in a playoff by a team led by Sir John Key, in what was the former president's first visit to New Zealand, American weekly magazine Newsweek reported. "[Obama] was relaxed, loved the course and his first glimpse of New Zealand," The NZ Herald quoted Key as saying. After finishing the game at Kauri Cliffs, Key reported that it "came down to the wire" and that it went to extra holes as the two teams were "all square" after 18. He described it as a "great match" but that "Team NZ won on the second playoff hole". The two teams are due to play again on March 22, giving Team Obama the chance to even the scores. 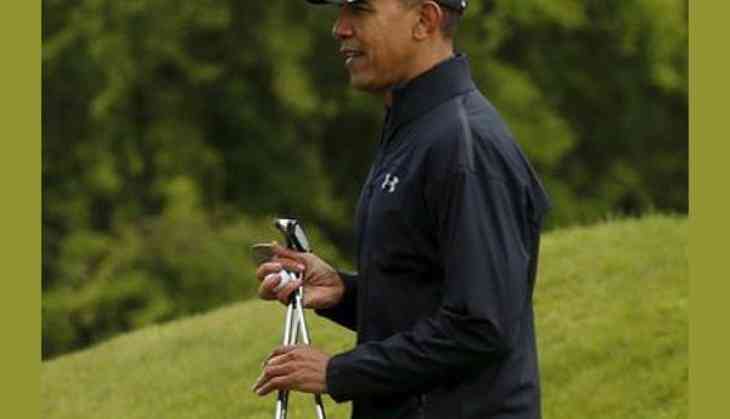 Obama, who took up golf in 1997 at a public course in Chicago, received criticism for playing golf during his time as the President of United States.